Yesterday morning at 4AM, the quiet of Waveney Valley, on the Norfolk/Suffolk border in East Anglia, was broken by an early-morning summer storm. 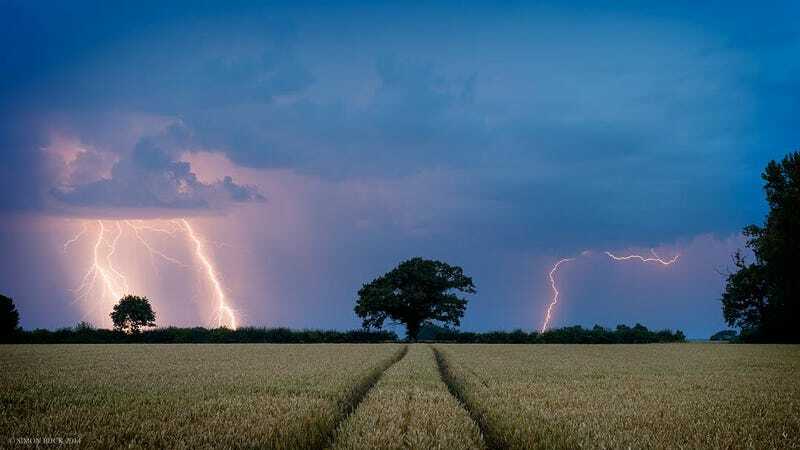 Fortunately, local photographer Simon Buck was up at that ungodly hour to capture the extraordinary beauty of the moment lightning struck the valley fields. See more pictures and learn about this incredible part of the world here. Find more of Simon’s great photos on Instagram @sibuckphoto and Facebook, and his official website.